After finally getting settled back in Dallas from racing and holiday travel, I was able to take a week to get back on terms with training and the real world. 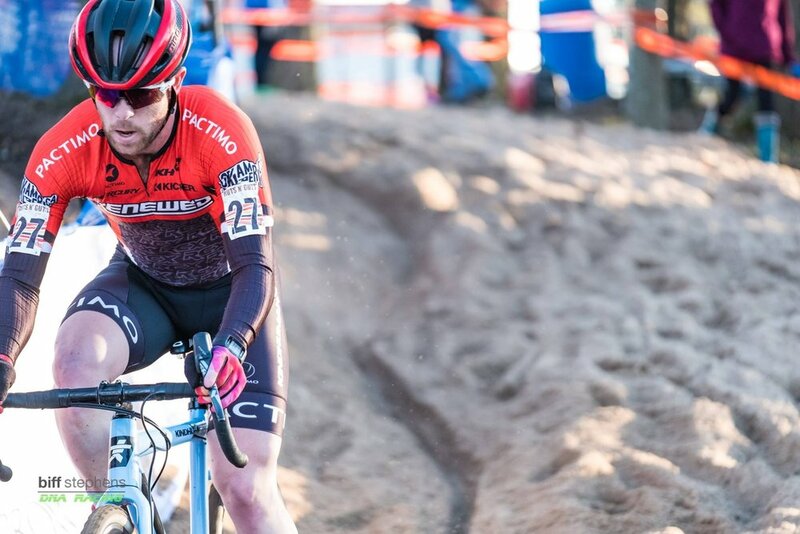 As the UCI cyclocross season comes to a close, I have been looking forward to some local racing to close out the season. First up, was the annual Ruts N' Guts race in Broken Arrow, Oklahoma, just outside of Tulsa. Friday - Hello, Old Friend! From the start of the cyclocross season, the last two UCI racing weekends of 2016 had a BIG star next to them on my calendar. 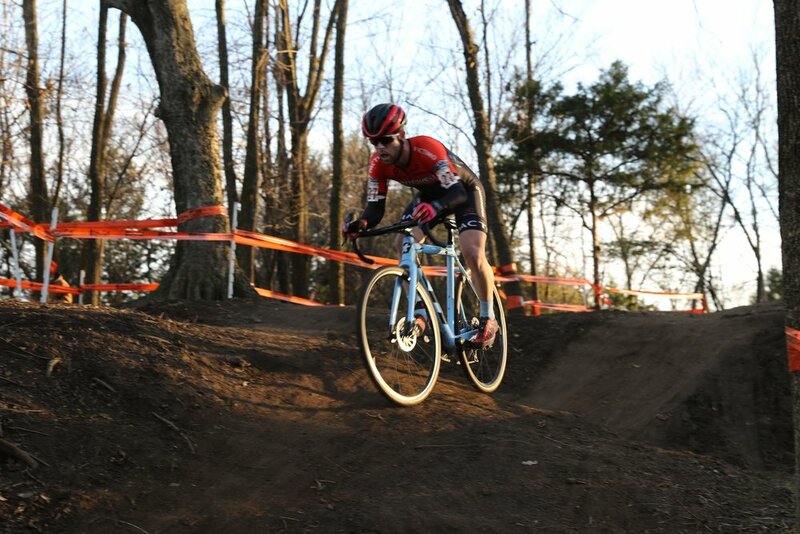 In 2015, the Southern Cross swing (Ruts N' Guts - Resolution CX Cup - Highlander CX Cup) proved to be my ticket in to the Elite races at Nationals. I was able to get enough Pro CX points to sneak into the Top 90 of the overall series. So in 2016, it's safe to say that I have good memories from these events! The Ruts course of years past was wide open and required a great deal of open pedaling. The course itself suited my abilities and was a bit more roadie-friendly. That was not the case this year. The 2016 edition consisted of a more condensed course with added technical features but all the same flow. Uphill sand, downhill sand, log barriers, whoops, dips, off camber, and fast straights, the course had something for everyone. Tanner, Mike, and the crew have quite the playground out in Broken Arrow and their use of the natural terrain set the stage for some great racing. The mild temps and sunshine of Friday was washed away by cold, gray skies on Saturday. While the weather was holding off for the morning hours, there was sure to be plenty of moisture in the afternoon to make things interesting. After the typical morning of Euro CX + Premier League soccer action, we rolled up to the course to start our pre-race routine. Also new for 2016 was the Category 1 (or C1) status for Saturday's race. 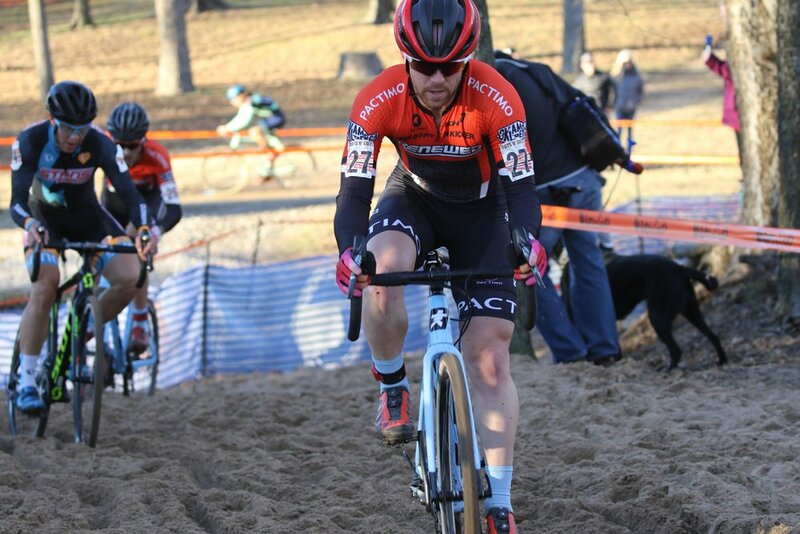 With twice the UCI and Pro CX points on offer, many top riders made the trip to Central Oklahoma. The men's field was definitely stronger than in years past, so strong that my one UCI point still placed me on the last row of the start grid. Standing at the start line, the steady drizzle created a course that was slicker than Friday's pre-ride but still relatively tacky and fast. The group of 30+ riders barreled off the line towards the first corner. As is typical, everyone was battling for the inside line, which created the obligatory bottleneck followed by the also-obligatory pedal-to-the-metal acceleration. Try as I may, I wasn't able to make much of an improvement on my position and came out of the first technical sections towards the back of the bunch. With the field strung out, gaps started to open up as riders botched the first pass through the uphill sand and/ or chose a slower line than those in front of them. Moving up as best as I could, I just missed the group that would have taken me inside the top 20 at the finish. Relegated to No Man's Land, I continued pedaling at a rate that wasn't making progress and wasn't losing ground either. And while I was stuck in limbo, I was having a clear run at the course and was able to hop the log barriers and began riding the sandpit faster than I had in pre-ride. But alas, Saturday was not my day and I was saved from my suffering with one lap to go (that's a rant for another day), finishing in 28th place. 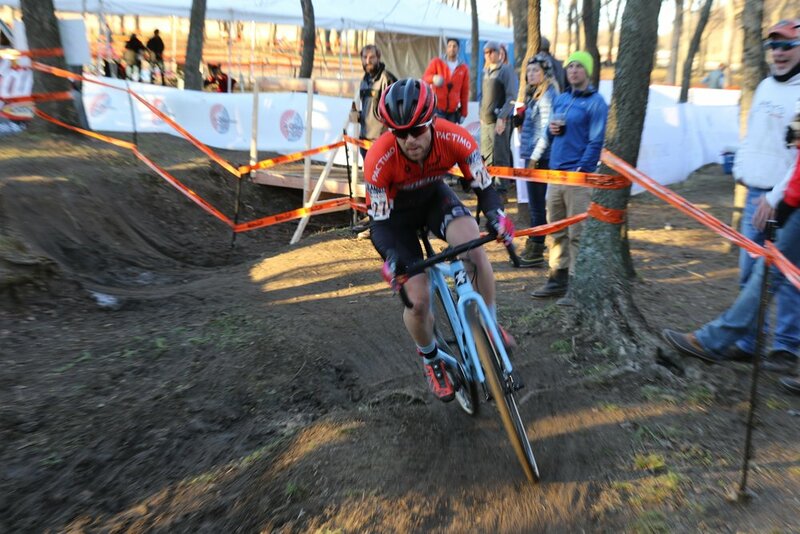 While it was a bummer to miss the group, the front of the race provided an exciting end to the day, coming to the very last corner where Tobin Ortenblad railed the final turn and took the win. A little further back, my teammate Dylan Postier was able to do the same in his bunch and win the sprint for 22nd place. The evening made up for the race though. We hit up Franklin's Pork & Barrel and treated ourselves to some AH-MAZ-ING barbecue. Seriously good stuff. With full stomachs and the meat sweats starting to kick in, it was off to bed to get rested for Sunday's C2 event. Sunday came and the weather was much different than Saturday's cold, dreary affair. With warm temps and sunny skies, the mind and body were feeling ready to go on a new day. The course was reversed from the day before which meant pre-ride was needed to reverse everything I had memorized the day before. There was still a great deal of flow and plenty of technical dips and drops to cause trouble for any rider. My call up position was the same as the day before but my start was worse. After rounding the first few corners and avoiding coming unclipped in the obligatory traffic jams, I stole a peak over my shoulder to see that I was the caboose today. Time to get to work! I pushed myself hard to fight around other riders and take any space that I could to keep moving forward. After a couple laps in to the race, I knew that I was on a good day. I found myself locked in battle with Jake Lasley (SPCX p/b RK Black) and we continued to hit each other lap after lap - though it was he who was doing most of the punching. As we approached the uphill pass of the sandpit, I missed my line and had to scooter my way out. Meanwhile, Jake had floated uphill and opened up a small gap. He increased his lead hopping the logs while I stuck with my running approach. With three laps to go, his advantage was staying solid about 20 seconds. As we approached the lake, I noticed Jake was off his bike, fixing his chain. He was back on right as I got to his wheel, but the untimely mechanical meant I had a bit more hope. Two laps to go and the gap was opened up once again. But as we came to same spot, Jake was again fixing his chain. He was a bit quicker this time and still had a few seconds over me as we reached the bell lap. I tried as hard as I could to close the gap but Jake was too fast and too smooth. Instead I had to settle for my place rounding out the top 20. Looking back on the race, I was a bit bummed to not come away with a better result. But I was happy that I could improve upon my performance from Day 1 and put together a solid race. With the first leg of the Southern CX Series down, it was time to head back to Dallas and recharge before the Resolution CX Cup in my own backyard.